Jian dui (Chinese: 煎堆) is a type of fried Chinese pastry made from glutinous rice flour. The pastry is coated with sesame seeds on the outside and is crisp and chewy. Inside the pastry is a large hollow, caused by the expansion of the dough. The hollow of the pastry is filled with a filling usually consisting of lotus paste, or alternatively sweet black bean paste, or less commonly red bean paste. The origins of jian dui can be traced back to the Tang dynasty as a palace food in Chang'an, known as lüdui (碌堆). This food item was also recalled in a poem by the Tang poet Wang Fanzhi. With the southward migration of many peoples from central China, the jian dui was brought along and hence became part of southern Chinese cuisine. In Japan, it is known as goma dango (ごま団子, sesame dumpling). 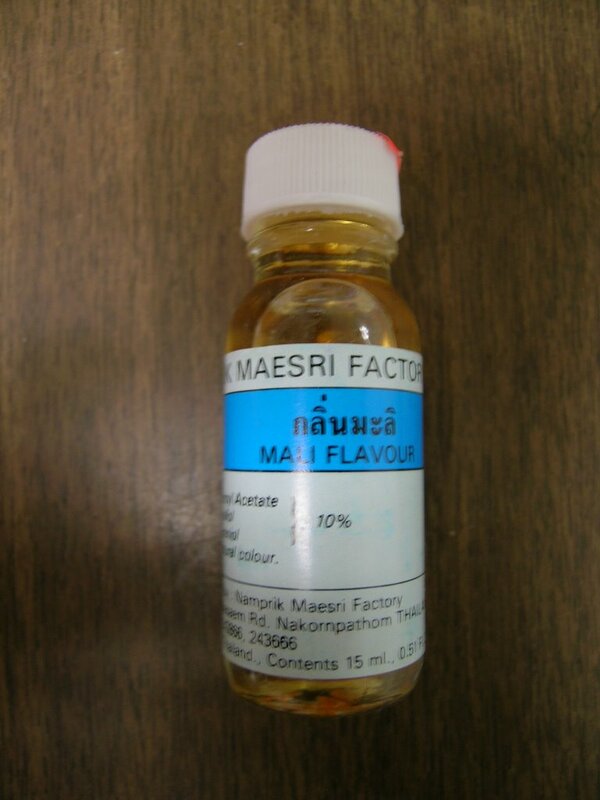 It is often sold at street fairs, in Chinese districts, and at various restaurants. It is known as kuih bom, which is usually filled with shredded sweetened coconut, or nuts. Occasionally, it may be filled with red bean paste. Among the mainly Hakka-speaking ethnic Chinese in the state of Sabah, jian dui is more commonly known as 'you chi'. In the Philippines, jian dui is called butsi (Castilian: buchi). Due to hundreds of years of Chinese settlement in the Philippines, the integration of Chinese cuisine (particularly Cantonese and Fujian) to local dishes has made buchi quite popular. To an extent, it has already been considered an icon of Chinese Filipino culinary tradition, sometimes associated with auspiciousness. As it is well-known among ethnic Chinese and other Filipinos alike, local restaurants which are sometimes not even Chinese and fastfood chains such as Chowking have added the delicacy to the menu. Aside from the usual lotus and red bean paste, non-Chinese and indigenous ingredients have also been used for variety such as ube-flavored butsi. Bánh rán can be sweet or savory. The sweet one is filled with mung bean. The savory one is filled with chopped meat, cassava vermicelli, mushroom, and a variety of other typically Vietnamese ingredients. It's usually served with vegetable and dipping sauce. Jian dui can be fried to great sizes. Ellurundai, sesame ball in Sri Lanka. Indonesian Oonde-onde on display in "Indo Toko" in Amsterdam, the Netherlands. Onde-onde from Surabaya, Indonesia. The yellow ones were made from white glutenous rice flour while the black ones from black glutenous rice flour. Philippine butsi or buchi variant covered with white sugar and filled with bukayo (coconut flesh strips simmered in sugar syrup). 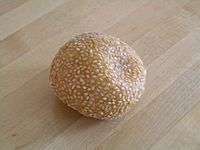 Wikimedia Commons has media related to Sesame ball. ↑ "Ellurundai - Sweet Sesame Balls". Retrieved 9 September 2015.